Fortnite is about to become a whole lot more like Enemy at the Gates. Except, in place of a Russian crackshot, there’s a guy dabbing because he’s killed you from half a mile away. That’s because a few pesky leakers have datamined files to uncover a Fortnite sniper rifle that can shoot through walls. Forget the return of Playground Mode, the real 5.10 update highlight is undoubtedly going to be this legendary sniper rifle, which has been found by the team over at Storm Shield One. Boasting 157 damage and a smidgen over four-second reload time, this is some heavy-duty weaponry for you to unleash your inner-Sniper Wolf. The best thing about it? The first building or fort you hit with a shot from the new Fortnite sniper rifle will go straight through it and, possibly, one-hit kill whoever is unlucky enough to be standing on the other side. 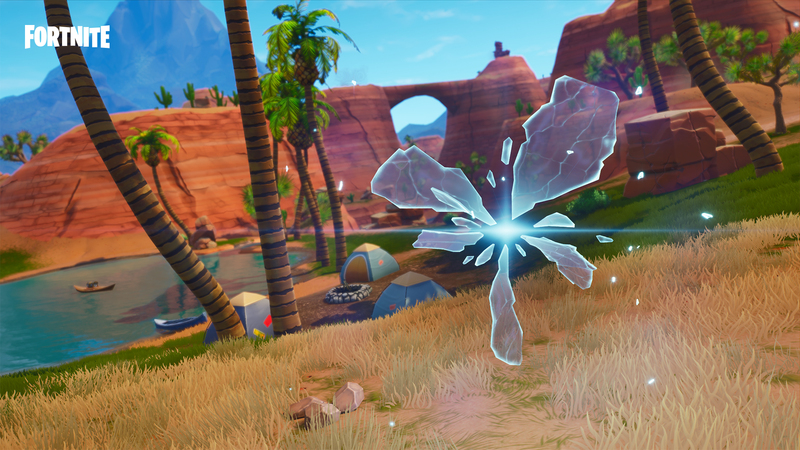 Right now, there’s been no official word from Epic, nor a slated release date but the datamined files have the weapon down as being introduced in the 5.10 update, which launched on Tuesday. As we all know by now, Fortnite leaks are part and parcel of the battle royale, part-hype machine and part-weird sense of duty on behalf of some in the community to dust off everything that’s on the horizon. On this occasion, I’ll let it slide. Two words and a hyphen: wall-piercing headshots.